An IT software company selling its unique product into the public sector. The business was led by two directors who knew the sector and engaged IT experts to deliver the product. The business had grown slowly after an initial growth surge yet the market appeared to be ready to buy more of the product. Therefore, it felt like a time of change was on the horizon. The MD accepted that he seemed to spend all his life in the businesses, dealing with every big and small issue that came up. He had to deal with the detail of software specifications and testing, recruit and manage all of the workforce, prepare responses to tenders and generally have a hand in everything that went on in the business. The MD knew he shouldn’t manage in that style especially as growth seemed to be coming through. 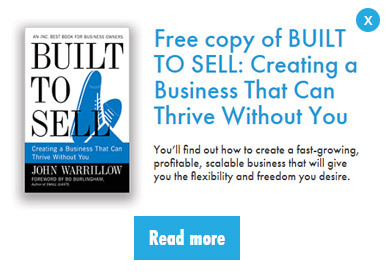 He needed a plan for the future and a business structure that allowed him to delegate far more. We ran two Vision and Planning workshops for the two directors, each one taking 3 hours. These relatively small sessions allowed them to step back from the day-to-day and think about the future. The second of the sessions was more action-orientated and included the development of an outline business plan for the next three years. Follow up workshops developed that business plan and a management structure to support the MD. Implementation activities included a business plan event for all the staff and establishing regular management team meetings to allow the MD to share the workload. A business with a focus and an MD with management support. Turnover grew and new staff joined the business to help take it to the next level of growth. The MD was able to focus on the more strategic aspects of the business because there was a management team to look after most of the day-to-day business. I am a Trustee of Back to Front CIO, a charity promoting fruit and vegetable growing in North East Leeds.